The plan to start early at 5.30 AM from Eindhoven University campus helped us escape the afternoon Sun and additional efforts to carry extra water and food. Eindhoven city looked deserted, similar to an after-math of zombie apocalypse, with close to zero motor traffic on the roads. Route till the Eindhoven golf course had several traffic lights with one at Batadord near the Wilhelminakanaal (name of the canal, given after an influential Dutch Queen Wilhelmina). Batadorp to Tilburg is a stretch of 23 km with just 2 traffic-lights and some segments with red-asphalt, giving a phenomenal experience of cycling in a paradise. Getting to Bredasweg was a bit tricky with the roads being dug-up at a few places. Several detours and cobbled-paths costed us a few extra minutes. Route also passes a railway-crossing. Approaching Breda along Bredasweg was a straight route with couple of traffic lights. It is titled F58, a fast cycle route from Tilburg to Breda (fast, because it has minimal traffic lights). 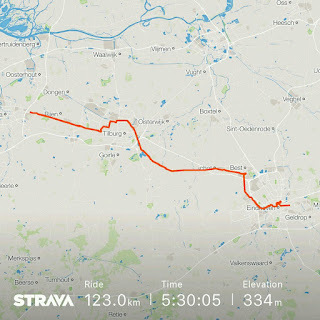 The total length of the Wilhelminakanaal is 68 km, starting from Zuid-Willemsvaart (another canal) in Laarbeek to the river Amer in Geertruidenberg (both are municipalities in the province of Noord-Brabant in the Netherlands). The construction of this canal dates back to 1923, with the plans drafted somewhere in 17th century [Source] [Source] Given its importance and serene location, many campsites, fietscafe (a dutch word for cafe-for-cyclists) etc. have popped up along the route at locations closer to the main town. In case you are wondering why I counted the traffic-lights, it was because its quite commonly discussed parameter when cycling long distances here. Riders prefer to cycle non-stop, and a traffic-light that appears out of nowhere is bound to reduce the pace of cycling. You brake suddenly, lose rhythm, costs extra energy to catch and maintain that pace again. On our way back, we came across many cyclists, some riding solo, some riding in a group, some old people on their electric-bikes and some (annoying) scooters speeding above 45 kmph. A law in Netherlands prohibits scooters to exceed 25 kmph on a fietspad (dutch word for cycle-track). Of-course, a race-bike can overtake a scooter anytime! A dutch website Scooteroverlast had made a nice poster about the scooter-menace. 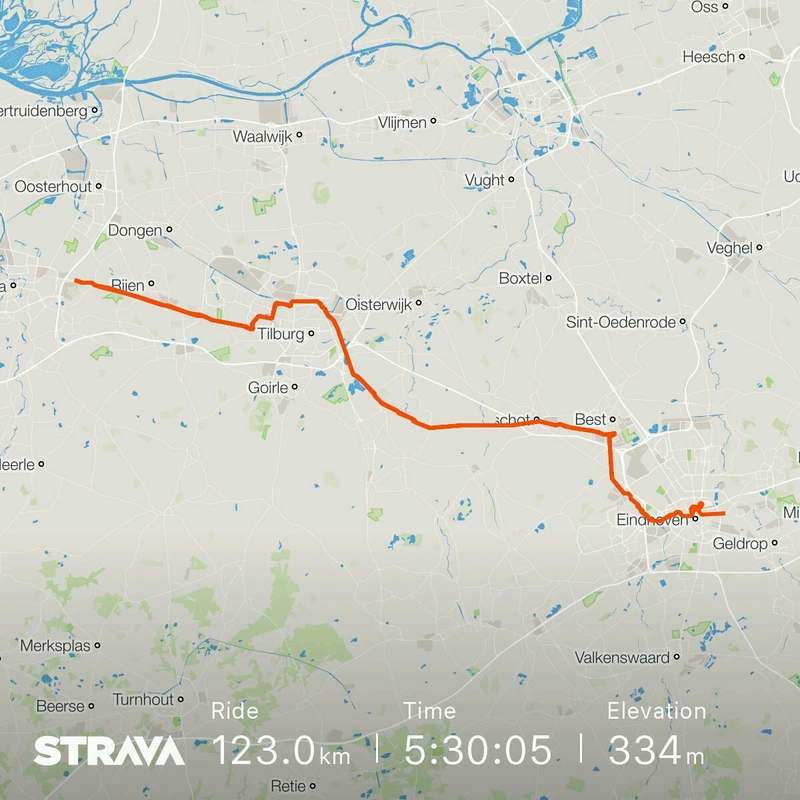 The journey of 123 km was easily achieved under 5.30 hrs with enough time for enjoying the beauty and nature on the way. The 1 ltr water and few dry-fruit-bread slices were sufficient for keeping us fueled. With this ride, Prasoon complete his first 100 km distance.